Are you unable to run as far as you want to? Or can you complete your run but you pay for it the next day with severe pain? Do you take pain medication before each run just to make it through? This Guide is for the person who has to stop running due to pain or the person that continues to push through the pain, no matter what. Most limitations with running come down to a mobility or a stability issue, which can occur anywhere in your body. Don’t think you have time to read this guide. 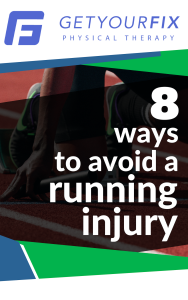 Reading this guide has to be better than spending another day unable to run, living with pain, or living on pain medication. It’s time to request my free tips guide… do that by clicking the button below and entering your information. Start running PAIN FREE AGAIN!